On September 19, 2015 SkillsUSA officers attended their first community service project of the school year. Four officers travelled to South Bowers Beach to participate in the local Coastal Cleanup project. The project was aimed at cleaning up the trash and waste deposited by runoff and human negligence around or near the coastline. Participants were instructed to record everything they had collected like bottle caps, glass, metal cans and other miscellaneous trash to report back to the Delaware Department of Natural Resources and Environmental Control. 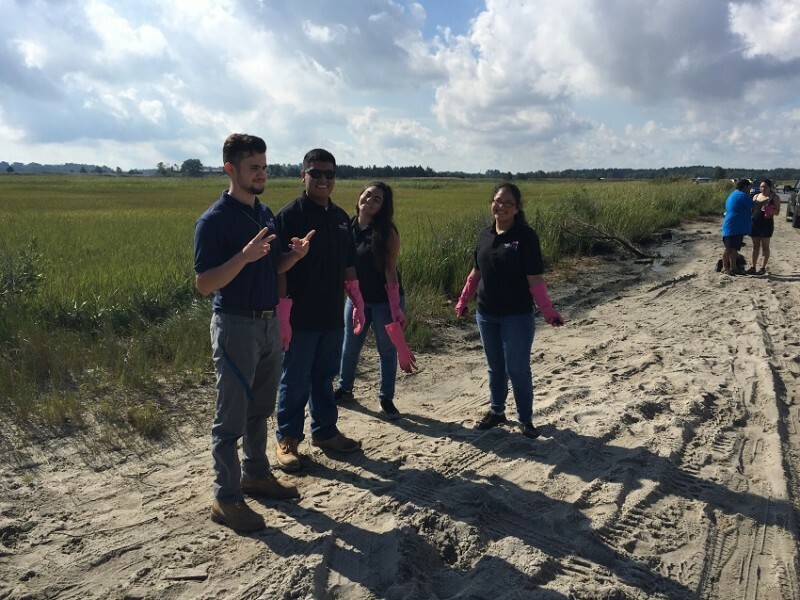 “Overall, it was a great experience and fun going around cleaning up the beach with my fellow officers. Even more, the scenery was beautiful looking down the beach early in the morning” says Vice President from Delcastle, Juan Zamudio. Other Skills USA officers like Vice President of Howard, Natalia Mahecha says, “It was a good feeling to make the beach community a cleaner place and to make it safer for the animals that inhabit it.” SkillsUSA officers look forward to their next opportunity to help the community. 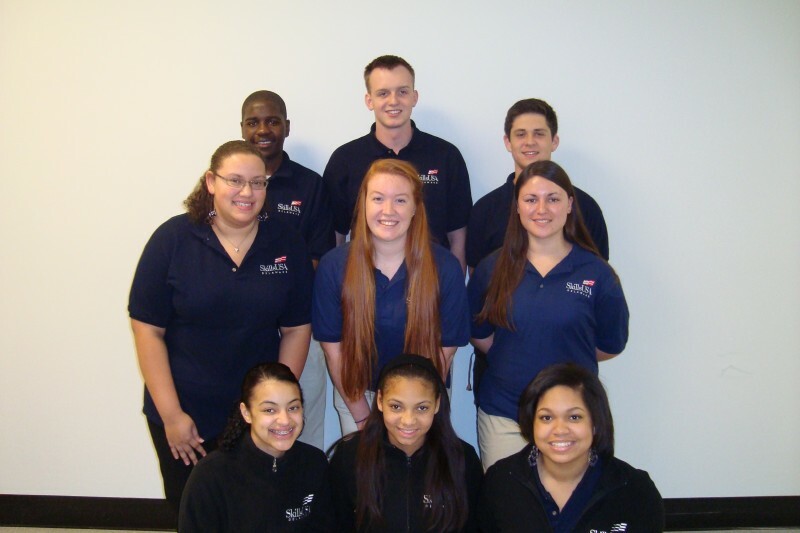 Meet Your Delaware State Officers! 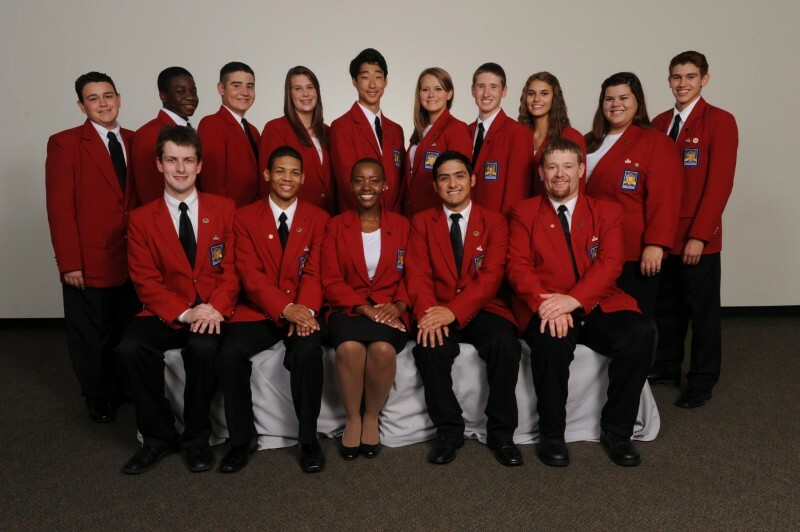 Read the biographies of your Delaware SkillsUSA State Officers and get to know them on our Leadership Team page. June 2012 – Olivia Keech won the Gold Medal in Sheet Metal at the SkillsUSA National Leadership and Skills Conference for the second year in a row. As the only female in the contest, her presence at the orientation was initially questioned by a few of the competitors. At the contest, she proved that she was in the right place with the right stuff.